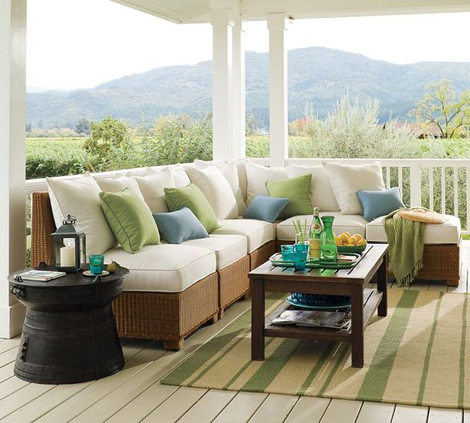 When designing your outdoor living room, all you really need is one versatile piece to get you started, like the Palmetto All-Weather Wicker Sectional by Pottery Barn. 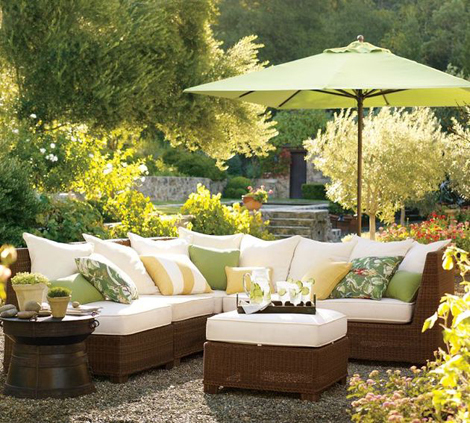 This alfresco essential offers stylish yet comfortable seating, and its synthetic fibers are made to withstand any weather. 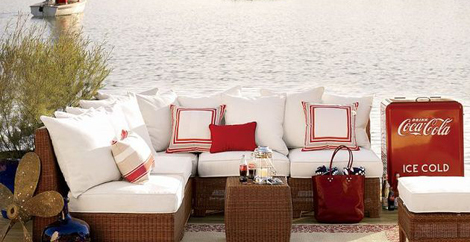 When we said “versatile,” this sofa delivers. 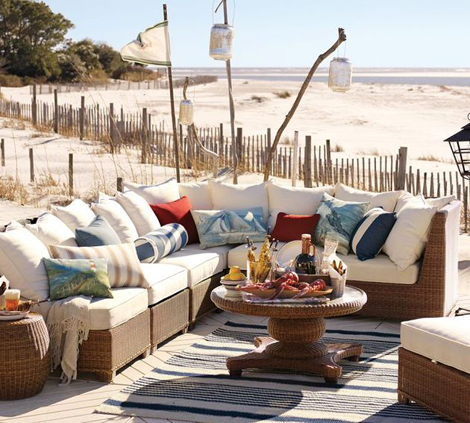 Offered as a “build your own” piece, the Palmetto’s various components can be reconfigured whenever, however and where ever you like. 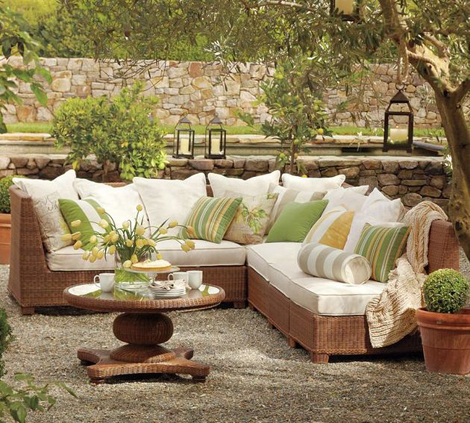 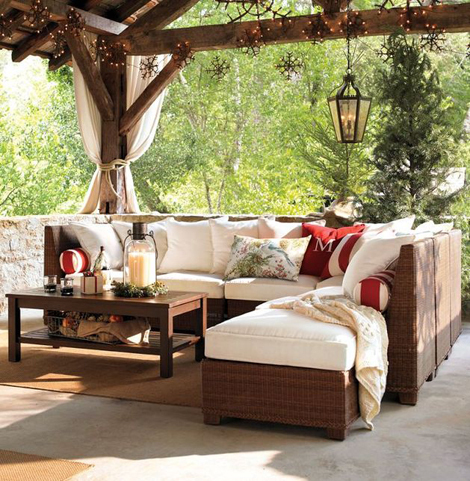 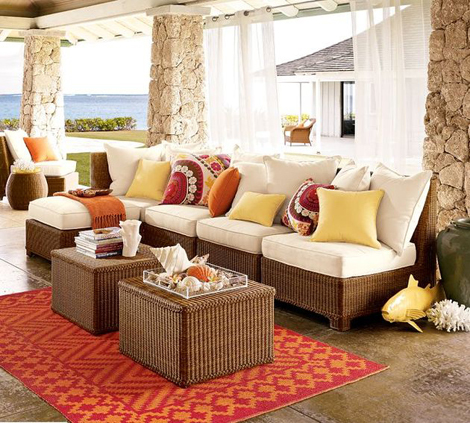 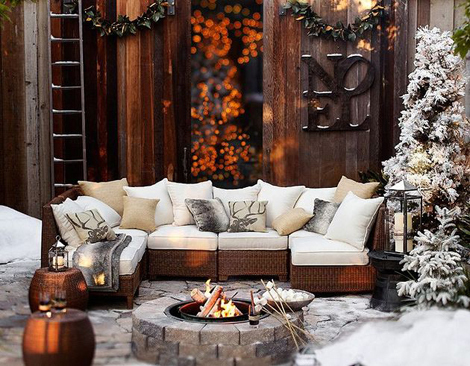 Here are some hot ideas for your outdoor living room, in any season and setting! 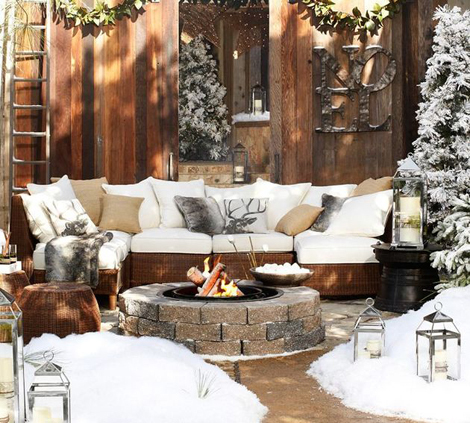 There are some pictures of ourdoor living by winter as well, end of article.